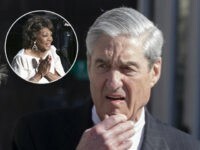 A potential Russian collusion scandal that has not yet been investigated involves a company John Podesta, Hillary Clinton’s campaign manager, directed that made an investment in a venture capital firm wholly owned by the Russian government. Controversial Kremlin-connected energy firm Joule Unlimited, which received millions from a Vladimir Putin-connected Russian government fund and counted former Hillary Clinton campaign chairman John Podesta as a executive board member, has collapsed, according to the firm’s former chief executive. Peter Schweizer, author of the best-selling book Clinton Cash and president of the Government Accountability Institute talked with Breitbart News Daily SiriusXM host Alex Marlow on Friday regarding his recent New York Post piece calling for a Congressional investigation to look into ties between former Clinton campaign chief John Podesta and the Russian government. 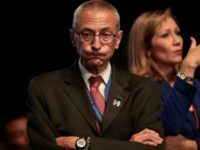 Hillary Clinton’s campaign chairman, John Podesta, may have violated federal law when he failed to fully disclose details surrounding his membership on the executive board of Joule Unlimited and the “75,000 common shares” he received. The energy company accepted millions from a Vladimir Putin-connected Russian government fund. Citing investigative reporting by the Government Accountability Institute (GAI) and advance reporting by The Daily Caller News Foundation’s Investigative Group, Rep. Louie Gohmert is calling for a congressional investigation into the connection between Hillary Clinton’s former campaign chairman, John Podesta, and Russia. Wikileaks mocked Democratic presidential candidate Hillary Clinton Tuesday morning for claiming that her opponents are linked to Vladimir Putin — even though her State Department and campaign chairman have done major business with Russia. 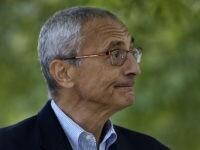 In an article titled “John Podesta and the Russians,” WSJ’s James Freeman writes that the question “When did Clinton’s top aide stop doing business with Moscow?” is not an easy one to answer, given the latest information we have from Wikileaks. 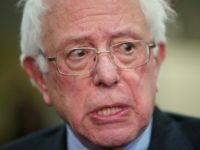 The Donald Trump presidential campaign is demanding that Hillary Clinton’s campaign chairman John Podesta come clean about the details surrounding his membership on the executive board of an energy company, Joule Unlimited, which received millions from a Putin-connected Russian government fund and the “75,000 common shares” Podesta owned and had transferred to a holding company called Leonidio LLC. 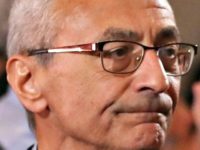 Hillary Clinton’s campaign chairman John Podesta’s membership on the executive board of an energy company, Joule Unlimited, which received millions from a Putin-connected Russian government fund, also included “75,000 common shares,” according to an email exchang uncovered by the Wikileaks hacks. 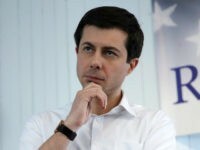 Hillary Clinton’s campaign chairman John Podesta was trending on North American Facebook Monday after myriad media outlets, including The Wall Street Journal, New York Post, and the Daily Mail, published stories based on research from Breitbart News Senior Editor-at-Large and Government Accountability Institute (GAI) President Peter Schweizer. 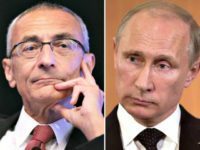 That research reveals details surrounding Podesta’s membership on the executive board of an energy company, Joule Unlimited, which received millions from a Putin-connected Russian government fund. The Wall Street Journal, New York Post, and the Drudge Report have published stories uncovering details found in a new investigative report from Breitbart News Senior Editor-at-Large and Government Accountability Institute (GAI) President Peter Schweizer that reveals that Hillary Clinton’s presidential campaign chairman John Podesta sat on the board of an energy company alongside Russian officials that received $35 million from a Putin-connected Russian government fund. 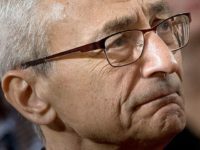 Hillary Clinton’s campaign chairman John Podesta sat on the board of a small energy company alongside Russian officials that received $35 million from a Putin-connected Russian government fund, a relationship Podesta failed to fully disclose on his federal financial disclosures as required by law.